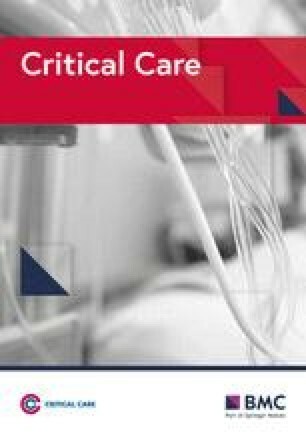 We read with interest the paper presented by Saeed et al , ‘The early identification of disease progression in patients with suspected infection presenting to the emergency department: a multi-centre derivation and validation study’. We retrospectively applied the cut-offs for mid-regional pro-adrenomedullin (MR-proADM) and C-reactive protein (CRP) derived in this study to the cohort used in our paper, ‘Can mid-regional pro-adrenomedullin (MR-proADM) increase the prognostic accuracy of NEWS in predicting deterioration in patients admitted to hospital with mild to moderately severe illness? A prospective single-centre observational study’  to see if we could replicate the sensitivity and specificity obtained for predicting avoidance of hospitalisation, defined as a discharge to community care within 24 h of presentation. Our original study was a prospective observational cohort study . Between September and December 2015, 300 patients who attended the Medical Assessment Unit at the Royal Victoria Infirmary, Newcastle, were enrolled. Patients were included whose National Early Warning Score (NEWS) was greater than or equal to 2 and less than or equal to 5. Those admitted for purely social reasons, were to receive only palliative care or had been admitted due to self-harm or overdose were excluded. One hundred twenty-three patients had, at discharge, a diagnosis of an infection. Twenty (16.3%) of these were discharged within 24 h. An MR-proADM of less than 0.87 nmol L−1 gave a sensitivity of 60% (44–71% 95%CI) and a specificity of 60% (53–66% CI) for discharge within 24 h. See Table 1 for comparison to Saeed et al. .
We have failed to replicate the utility suggested in the paper by Saeed et al. for MR-proADM predicting hospitalisation avoidance. However, the cohort here differs from that of Saeed et al. in many respects. Patients who attended the Medical Assessment Unit had already been assessed by either an emergency department physician or a general practitioner and have been considered to be likely to require hospitalisation. Furthermore, our study population was limited to those with NEWS score between 2 and 5 compared to the unselected cohort of Saeed et al. However, with a median NEWS of 4, their cohort’s NEWS may not differ greatly from ours. This demonstrates that other patient characteristics and the stage in the patient pathway are likely to be important when choosing how to implement this biomarker in aiding decisions about avoiding hospitalisation. Earlier use of the MR-proADM in unselected patients in an ED setting may help select patients for early discharge. The authors would like to thank the patients who accepted to be part of the study and the team of research nurses for the data collection: Laura Shewan, Louise Taylor, Janine Gradwell, Karen Martin, Katherine Cullen, Gerry Jones, Graham Soulsby, Carmen Scott and Helen Reed. The original study was funded by B·R·A·H·M·S GmbH. The NIHR funds the Newcastle In Vitro Diagnostics Co-operative. All authors contributed to the final manuscript. MC performed the statistical analyses with advice from SG. All authors read and approved the final manuscript. The original study was approved by the Newcastle and North Tyneside Research Ethics Committee (15/NE/0120), and by the R&D Committee of the Newcastle upon Tyne Hospitals NHS Foundation Trust (reference no. 7495). Consent was obtained for the original study.